KidsQuest – Offering a fun Pirate-themed adventure for kids ages 5-10! 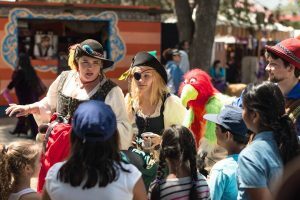 KidsQuest is an interactive adventure for kids ages 5-10 that takes them on a “little-legs-conscious” tour of our faire site, meeting fun pirates and townsfolk – all while solving a mystery! Our cast (and our puppet!) interact with kids, bringing them into the show and asking for their help. KidsQuest teaches kids critical thinking skills, observation, as well as forwarding messages like sharing, teamwork, and kindness while having fun and adventure. Kids thwart the evil wizard Snifflewort, and at the end of every adventure they’re allowed to have a piece of pirate treasure from the KidsQuest treasure box for their very own! (Note: Parents are required to come along on the Quest, as anything else could be construed as child-thievin’ and we’re full up on cabin boys and girls at the moment.) Runs approximately 30 minutes; times vary. Check your stage schedule (available online and at our front gate) for show times and locales. Each quest is $5 per child. Players help Captain (in training) Scarlett Seaworthy, her “little” sister One-Eyed Wilhelmina Seaworthy, her faithful parrot Squawks and the rest of her crew find the mystical Blue Sapphire and the rest of her treasure before the evil, no-good Wizard Snifflewort does! Are you mates up to the challenge? Come aboard and sail with us and see! Join Captain Scarlett Seaworthy and her faithful crew as they venture to rescue their ship The Twisted Claw from the dastardly, no-good Pinkbeard the Pirate! Adventure awaits young players as mysterious map pieces lead them along with Scarlett and her crew all over Deptford. Can you help find the missing pieces before Pink Beard sails away with their ship? Let’s set sail and see! Once you have decided to strike out on great adventure, you may purchase your child’s ticket at the RenQuest booth, located under the RenQuest dragon symbol on your map. Tickets are available in this location until 2 p.m. daily. 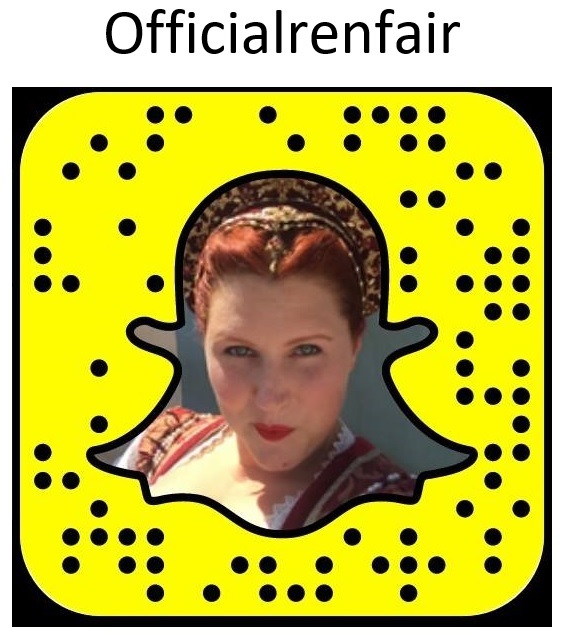 If necessary, you may also purchase your ticket directly from a RenQuest cast member just before the show. Tickets are $5 per child. KidsQuest shows take approximately 30 minutes, start to finish. KidsQuest participants all receive a small piece of treasure from the KidsQuest treasure chest. This is included in the ticket price. KidsQuest adventures all end in Kids’ Kingdom – where there’s LOTS of fun FREE things for your kids to enjoy! Start times vary, please see your show schedule (available at the front gate, all information booths, and posted at every stage location) for details. ASL interpreter available for all shows. Be prepared to have the MOST FUN EVER, because piracy is fun for ALL AGES! Now kids aged 10 – 15 can get in on the fun without exhausting Mom and Dad, as well as tour the entire city of Deptford! 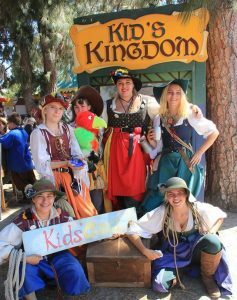 TweenQuest is a self-guided hunt for the pirate’s lost treasure map that allows kids and their families to see all that our faire has to offer while still interacting with our townsfolk and having a pirate adventure! TweenQuest is educational and fun and runs all day. You determine your pace! 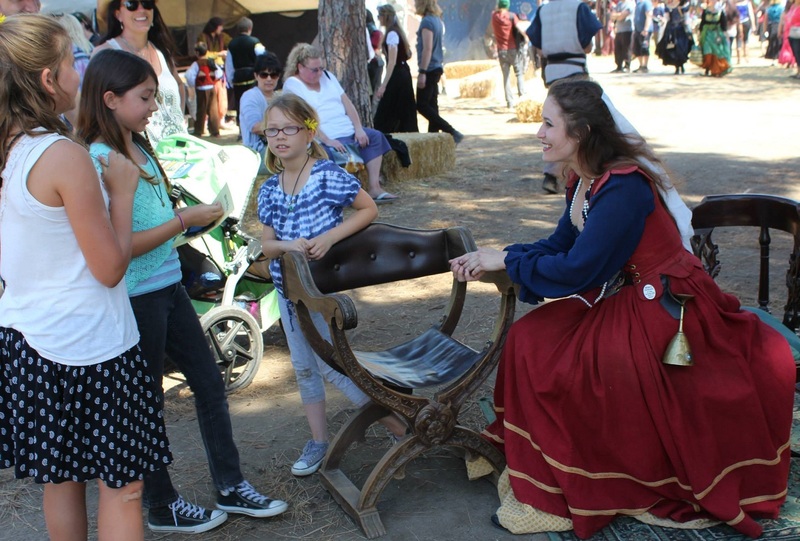 Kids use logical reasoning to decipher clues and follow them to various locations throughout the faire site, where they will interact with our townsfolk in a variety of ways, from learning Elizabethan traditions, to practicing improvisational theatrical skills, to discovering arts and crafts of the time! 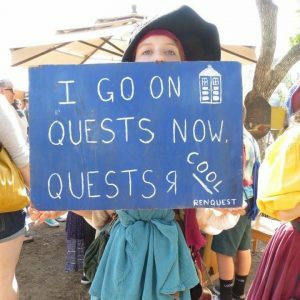 TweenQuest will encourage your child to immerse him or herself into the vast and rich world we’ve created and invites them to play along and be part of the town! $7; self-guided, runs all day. Tickets to play TweenQuest are only available until 1 p.m. daily at Pirate Camp, located under the RenQuest dragon symbol on your map. RenQuest™ is an interactive adventure for ages 16 and up that takes them on a whirlwind adventure through the town of Port Deptford deciphering clues, meeting fun and quirky townsfolk, performing brave tasks, all while trying to avoid Deptford’s villains – the Constabulary! RenQuest™ is a day-long adventure that will take you to literally every corner of our beloved town – but it’s all in a day’s work for a member of our crew! RenQuest™ runs in two acts, and by day’s end you’ll be a successful pirate and feel like a genuine member of our town! RenQuest™ players use logical reasoning to solve puzzles and play games, as well as improvisational skills to develop their character’s life and times during their day in Deptford. Players also interact with our incredible faire townsfolk in a way that is unique – acting as part of the story, not just a bystander to it! Live the adventure! Play RenQuest™ today! With TWO Captains vying for supremacy in Deptford’s waters, there’s a lot of piracy afoot! Choose your Captain: seasoned and true Captain Donalla O’Malley, or the crafty newcomer Captain Isaac Wormwood – then set sail for an adventure to gain control of Deptford’s waters! Will your Captain win? Or will both Captains be rounded up by the Sheriff and his Constables? Join us and find out! 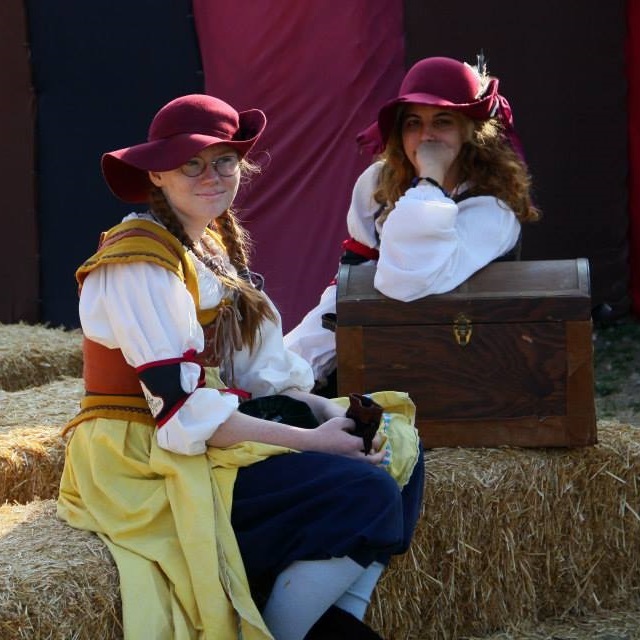 $10; Act one ends at 1 p.m. Act two plays until 4 p.m.; tickets available at Pirate Camp, located under the RenQuest dragon symbol on your map and available to start play until 1 p.m. daily! Once you have decided to strike out on the great adventure, you may purchase your day of play at the RenQuest™ Pirate Camp, located under the RenQuest™ dragon symbol on your map. You will receive your RenQuest™ Affiliation. Wristbands identify RenQuest™ players to folks at the Faire and need to be worn whenever you are on a quest. Replacements for lost bands are $5.00. Receive your Adventurer’s Passport. You will keep your Adventurer’s Passport. Replacements for lost passports are $5.00. Receive and sign your Code of Conduct and Player Contact Information. Find Donalla O’Malley to begin your quest. Receive your first quest and let the Adventure Begin! If you want more information about the quests and about playing before choosing to play, either visit our RenQuest™ booth or speak to a member of the crew. Members of the crew are marked with a leather bracer featuring the RenQuest™ logo of a dragon. One step of the quest should lead you to the next. If you have any problems or questions, find a member of the crew to help you along. Members of the crew are marked with a leather bracer featuring the RenQuest™ logo of a dragon. Players are encouraged to immerse themselves in the world of the faire – ask townsfolk for help too! Tickets to play RenQuest™ and TweenQuest are only available until 1 p.m. daily at the RenQuest™ booth. Some parts of the quest are only featured at scheduled times. Check your Passport to be sure you’re not too early! If you have time to fill, try fulfilling a few Achievement Quests! 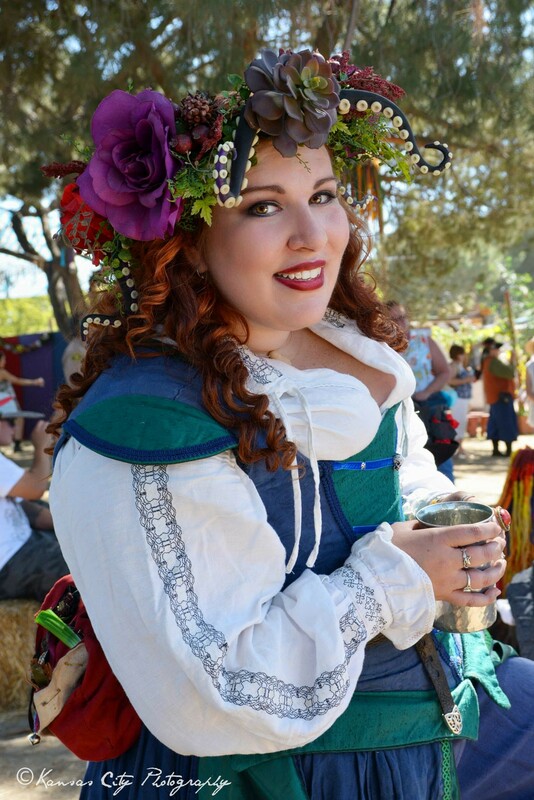 Every person who attempts RenQuest™ is entered into a drawing for a FREE TICKET back to faire this season! This drawing is done at the end of the day after the final scene of the quest. You must be present to complete the Quest and to win! We’ve expanded our game to include Achievements. These are sets of small tasks that once completed you may turn in to the RenQuest™ sales representative to get you an ADDITIONAL entry into the day’s drawing! 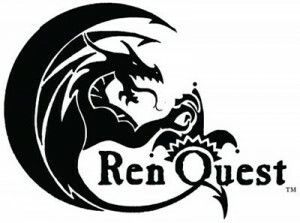 Join RenQuest™, and let thy adventure begin!